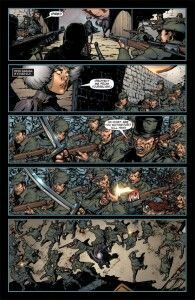 The buildup and anticipation for the Summer of Valiant continues. 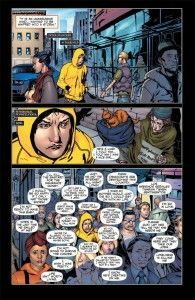 Valiant Entertainment has released a six page lettered preview of Harbinger #1. 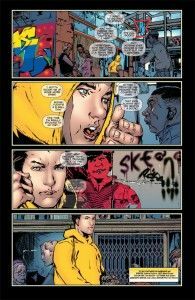 Keep a look out for Harbinger hitting the comic shelves June 6th, but take a look here for a cool preview into what the title, and Valiant Entertainment have in store for you. 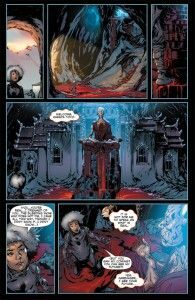 The first issue will be penned by Joshua Dysart (Unknown Soldier, BPRD) and will feature art from Harvey Award-nominated artist Khari Evans (Carbon Grey). Teenager Peter Stanchek is on a dangerous path, but wields an even more dangerous power. Skipping across the country in a desperate attempt to stay one step ahead of the authorities, Pete is quickly realizing that he’s a psionically-powered “harbinger” with the potential to control minds, manipulate matter, and forever alter the course of human history. 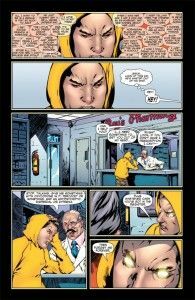 But behind the scenes and half a world away, Pete’s plight has not gone unnoticed by respected philanthropist and fellow harbinger, Toyo Harada. Will Harada offer Pete the chance at the things for which he’s longed — family, inner peace, control? Or will this unlikely hero find himself inducted into a secret network of conspiracy, supremacy, and subversion? Read minds. Bend steel. Break all the rules. This June, the foundations of the Valiant Universe will shake as Peter Stanchek learns the true price of power, only in Harbinger #1. By this preview alone, this series is going to RULE!!! 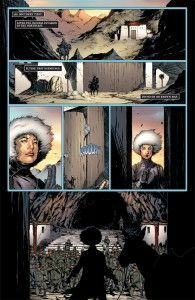 I’m only going to be able to pick up 1 Valiant title and so far Harbinger is looking like the it will be the 1.